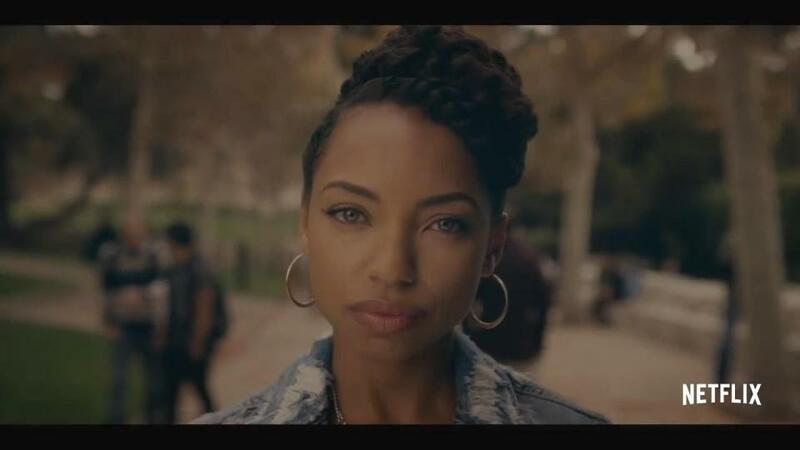 The first trailer for the Dear White People series on Netflix has debuted, and this simple 30-second teaser was enough to incite “anti-racism” whites to demean and denigrate both the series and the streaming service. Dear White People is the forthcoming Netflix show based on the critically acclaimed feature film of the same name. Debuting its first season on April 28, Logan Browning stars as Samantha White, a film major at the Ivy League college Winchester University who hosts a campus radio show titled “Dear White People”. The series sets out to explore identity social injustice, political correctness, and sometimes misguided activism. The show is filled with up and coming Black actors like Antoinette Robertson and DeRon Horton filling roles from the movie, with Marque Richardson and Brandon Bell reprising their roles from the film. Almost immediately after this initial trailer for the show dropped, hordes of white people emerged and decried the “racist” show. 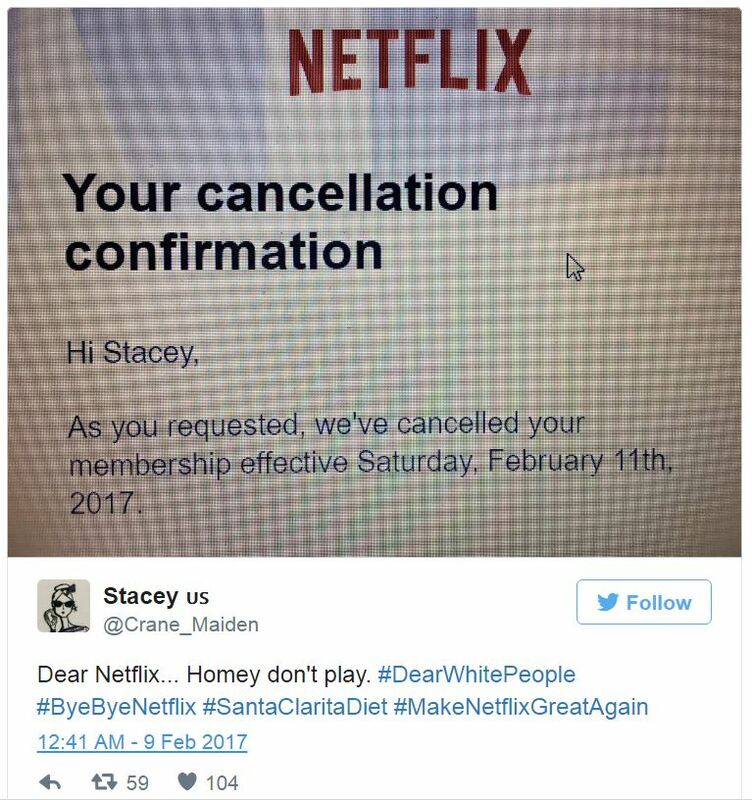 Response videos, YouTube comments, and tweets popped up immediately in opposition, with claims that they have canceled their Netflix subscriptions because of the show. Black people can be bigoted. We can be prejudiced. But we do not have the societal strength to actually be racist. The fact that this exact argument was already debunked in the 2014 film but people are still using it to undermine the series is a clear example of how these types of critics are quick to find fault in things that they put no effort into exploring. This backlash also exposes how hypocritical these people are. It’s funny how concerned and invested these people are in fighting “racism” when it affects white people and how absent they are when actual marginalized people face far more dire circumstances. They have so much to say when a fictional show is produced that skewers actual racist things that actual white people do, but they are nowhere to be found when actual Black people are excluded, mistreated, abused, discriminated against, or killed. If these people actually stood up and fought racism in the institutions that America is built upon, we could see actual swift change. But instead, they are more concerned with rallying against a show whose trailer advocates not turning Black people into Halloween costumes. What is interesting to note here is that Dear White People (and similar shows like black-ish: serve two purposes: 1) to entertain the minority watchers who can identify with the daily trials that the characters go through, and 2) to educate white audiences on their own racist, ignorant, bigoted ways. Dear White People the movie was so great and groundbreaking because it used satire to tackle race relations in America and illustrate how ludicrous reality is, its over-the-top situations being far too close to real life. In its racially charged and contentious scenes, Black people could recall similar instances from their own lives and white people could see how common and sinister racism is in the lives of others. And this was all done with fully formed, complex characters instead of stereotypes and with an equally critical eye toward the sometimes problematic actions of Black people. But instead of watching the show and judging it by its content, these white people are attacking it because it makes them uncomfortable and puts the unsavory acts of many white people on full display. The real irony here is that these white defenders are inadvertently playing out a scene that could fit in on the show, further highlighting how blind people can be to their own faults. This more than proves why shows like Dear White People exist and why they are necessary. With Donald Trump ascending to the presidency, it feels as if white people have become more emboldened to champion their whiteness. Those who once started to feel marginalized when they were forced to accept that there are other types of people who exist and whose opinions are important have been validated in their beliefs that whiteness is under attack and desperately in need of saving. Without a critical lens to their own behaviors and biases, they will continue to target anything that is incongruent with their ideals, and the swiftness of their response to this simple trailer is proof of how organized and united they are. But we must push against this bigoted mindset in every way imaginable, whether on the streets, in classrooms, or even on television. Dear White People is even more important as a part of the entertainment landscape now than the movie was back in 2014. We can only hope that at least a few of these people actually end up watching the show and coming to a better understanding of race relations in America. Will Smith Set to Lead The “Suicide Squad” for Warner Bros.